Yarn Type SALE 50% OFF! A melange of toussah silk & linen, and each shade is a soft subtle blend of shades. Soft to the touch and with the light silken sheen of wet stones (hence the name) this yarn sits at the heart of Rowan’s Spring & Summer season. 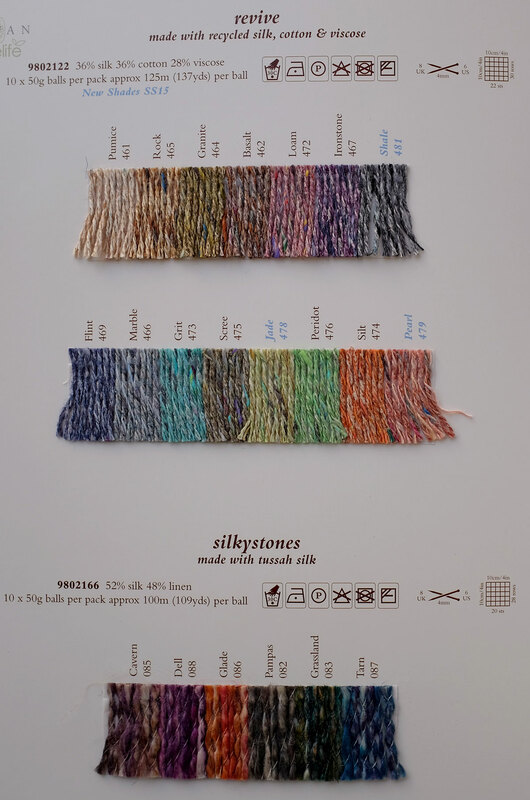 52% Silk, 48% Linen. Hand Wash warm. Knit this ladies open, draping front jacket, the member's exclusive free pattern for March 2015. Designed by Lisa Richardson using the exquisite yarn Silkystones (silk and linen), this garter stitch jacket has an eye catching ladder stitch panel down the centre of the back.